I'm 28 years old,I've been suffering off and on last year,with pain,fatigue,dizziness,and sever muscles weakness,then I found out I have the Big D. Deficiency. I just finish my treatment last month, I went from a Vitamin D level of 11 ng/ml and last checked made it to 56 ng/ml. My endocrinologist wants me to stop the weekly doses and start with the daily doses,and He will check it again in August. Is 56 ng considered an optimal Level of Vitamin D? Yes, 56 is optimal. For future reference, you can always take a look at my page on Vitamin D Levels. Also, do make sure that your doctor puts you on a sufficient amount of vitamin d for maintenance. 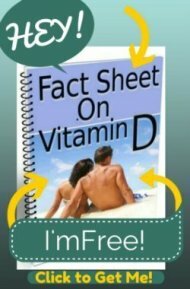 You can read my page on Vitamin D Requirements to be sure. How to calculate my does?? I'm 5ft 3 inches,weight 58Kg, 127 lb. How much do I have to take? How to calculate my daily does?? There's no 'calculation', but you can follow the guidelines on the Vitamin D Requirements page by the Third National Health and Nutrition Survey and then get tested in about 3 months to make sure that you are maintaining your level. Another endo told me to take about 2000-2500 IUs daily. The answer to your question is on the Vitamin D Requirements page. Read the part about the Third National Health and Nutrition Survey and then get tested in about 3 months to make sure that you are maintaining your level. If you continue down to the box that talks about the proper children's dosage, you'll see that the dose that your doctor is recommending is the correct dosage for a 50 pound child. I want to do the adrenal saliva test,but I'm wondreing is it possible to order the ZRT test and send it back to the lab and yet still get correct results ,am thinking that the test will be incorrect acording to the long delivery time from Jordan back to the lab in USA. While you wouldn't need to ship it overnight, you may want to ship it by a priority method to get it to the lab within a week or less. I don't know if longer would be a problem, but it's easy to send it by a somewhat rapid method and solve the problem of worrying about it. Thanks for your answer,really helpful,Another question,does magnesium cream or gel really work,I tried Mag Supplements but did not work will with my digestion, so I'm thinking about Transdermal Magnesium Gel. Yes, magnesium gel really DOES work, as does Magnesium Bath Flakes. Dr. Marc Sircus has written VOLUMES on magnesium and in his book 'Transdermal Magnesium', he suggests magnesium bath flakes with sodium bicarbonate (like Arm and Hammer baking soda) in the bath to help the magnesium be driven into your cells. You can also try a product called Angstrom Magnesium which causes little to no digestive problems since it's particles are so small and absorbed so well. So, any of those (or all 3 together) can help to get you more magnesium without the digestive issues. So I could bring my level up using topical magnesium oil!! I'll repeat. "Yes, magnesium gel really DOES work, as does Magnesium Bath Flakes. Dr. Marc Sircus has written VOLUMES on magnesium and in his book 'Transdermal Magnesium', he suggests magnesium bath flakes with sodium bicarbonate (like Arm and Hammer baking soda) in the bath to help the magnesium be driven into your cells." Except that your goal is not to 'bring your level up'. Most people's level is fine. Your goal is to relieve your symptoms. I just received my Vitamin D levels back from my Doctor. My level was 17. He told me to take 4,000 mg of Vitamin D 3 each day. 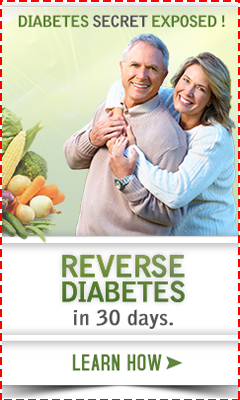 Do you think 4,000 mg a day is enough for my level. Please read and follow the instructions that are on the Vitamin D Therapy page. This question has been answered many times on this site for your situation.